Australian athletics royalty Sharon and Peter Hannan are bringing a new era of athletics to the Gold Coast with the local launch of Aussie Aths. 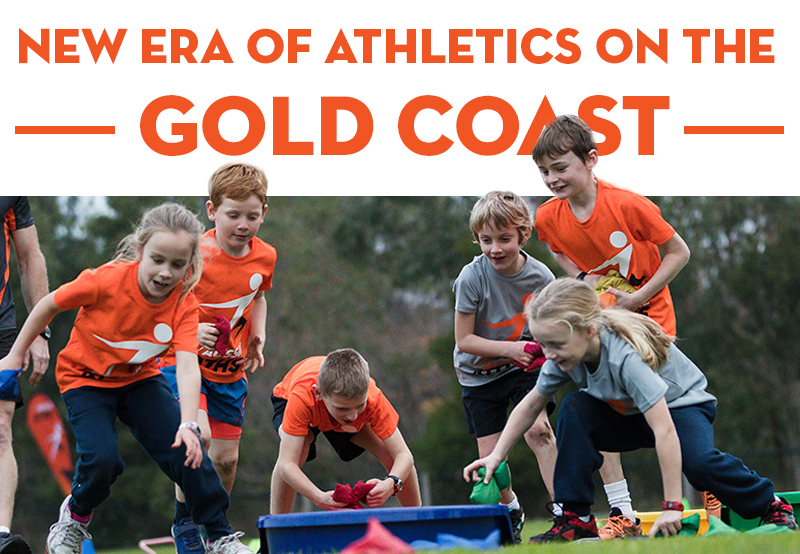 Aussie Aths, a new health and fitness program for kids, commenced in multiple venues in Victoria last year and is now expanding to the Gold Coast with programs set to commence at several locations across the Coast in February. And with one in four Australian children overweight or obese according to the OECD*, the Aussie Aths activity program is designed especially for kids and aims to prevent obesity and other associated diseases, by addressing the issue of less screen time and more outdoors play time. Aussie Aths is designed to teach the ABCs – agility, balance, coordination and speed – for every child in a fun, game-based program. The Hannan’s together boast more than eight decades of involvement in athletics at all levels, including Sharon Hannan’s 14+ years as coach to Olympic champion Sally Pearson. Sharon Hannan said Aussie Aths was the fun activity program that kids and parents have long been looking for and they couldn’t wait to deliver the term-based program for 5-13 year old’s commencing in February. “Australia’s children are less active than at any other time in history and each and every one of us should be concerned. The medical world is concerned; the research world is even more concerned,” Hannan said. Hannan said that the Aussie Aths program is for every child and not just for those interested in competitive athletics. “This is athletics, but not as you know it, and it’s coming to a park near you,” Hannan said. Aussie Aths has three age group programs – Active for prep to grade 2’s, Accelerate for kids in grades 3-6, and the Aussie Aths Academy for kids in grades 6-8, which ensures the program activities are suited to the age of each child. In another plus for time-poor parents, Aussie Aths only goes for an hour and runs at various times and locations on Mondays to Fridays, before and after school, and on Saturday’s during school terms. Programs commence from Monday 11 February and will be conducted at Arundel, Runaway Bay, Coomera, Upper Coomera, Helensvale, Molendinar and Oxenford.